For every offense, there is a sanction. Hence, Thiago Silva will be suspended until January 2, 2012 and will pay a fine of over $30,000. Upon his admission of using steroids and providing fake urine sample for the UFC 125 pre-fight drug test, Thiago Silva has been suspended for one year. In addition to this, the Nevada State Athletic Commission fined him a total of $33,750. The 28-year-old fighter told the NSAC that he took a prescription steroid during the training camp for his January 1 match against Brandon Vera due to an injury. It should be remembered that Thiago Silva was inactive inside the Octagon for over a year prior to UFC 125 due to an injured back. He then attempted to mask his usage by providing a fake urine sample that he bought online. Thiago Silva’s act was caused by the desperation to return to the action because he was “completely broke”. That said, Thiago Silva’s license revocation will run until January 2, 2012. He wouldn’t be able to reapply his license until he serves the full suspension. 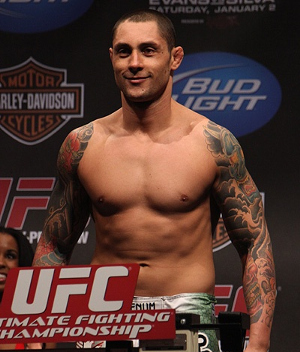 As for his fight against Brandon Vera, the match was officially changed to a no-contest. Thiago Silva Admits Use of "Urine Adulterant"